"I like to call it tracking insurance"
I suggested to wait until next morning or I could show up at later that evening to give the buck a few hours to expire. 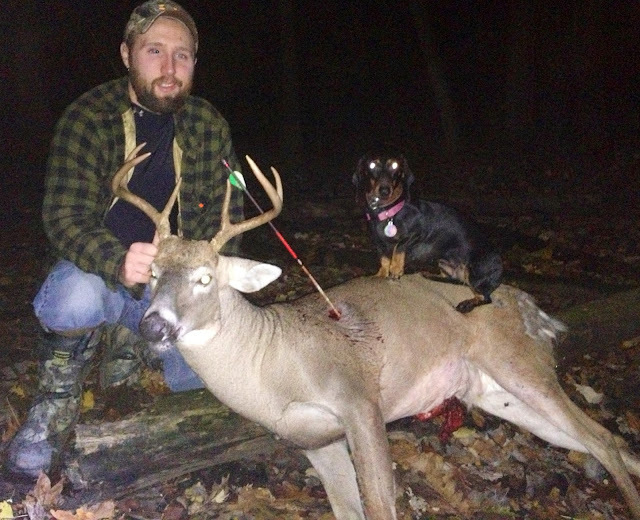 Shortly after 9 pm it started to rain so Zack decided to call in the deer tracking dog. At the shot site we found brown hair,white hair and gut matter. I knew instantly Sypris was going to find Zack buck. 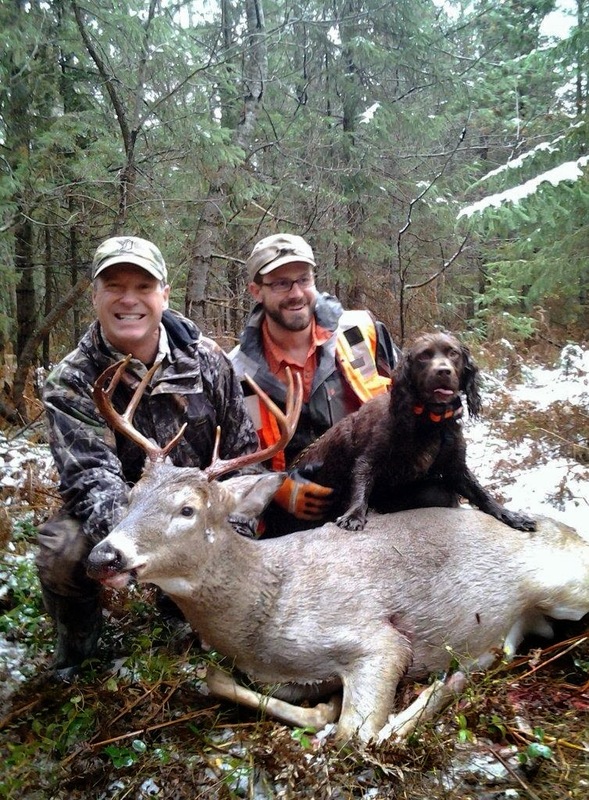 Zack did not track this buck so I knew there was no human contamination. 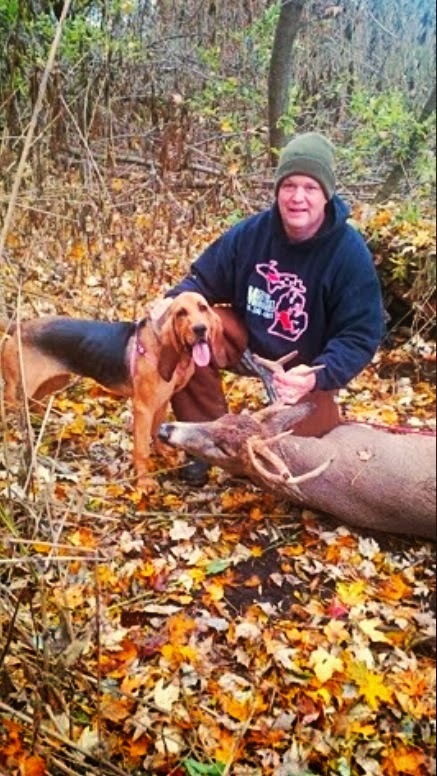 Sypris quickly pick up the buck hoof scent and in a matter of 10-15 min. we found his buck. 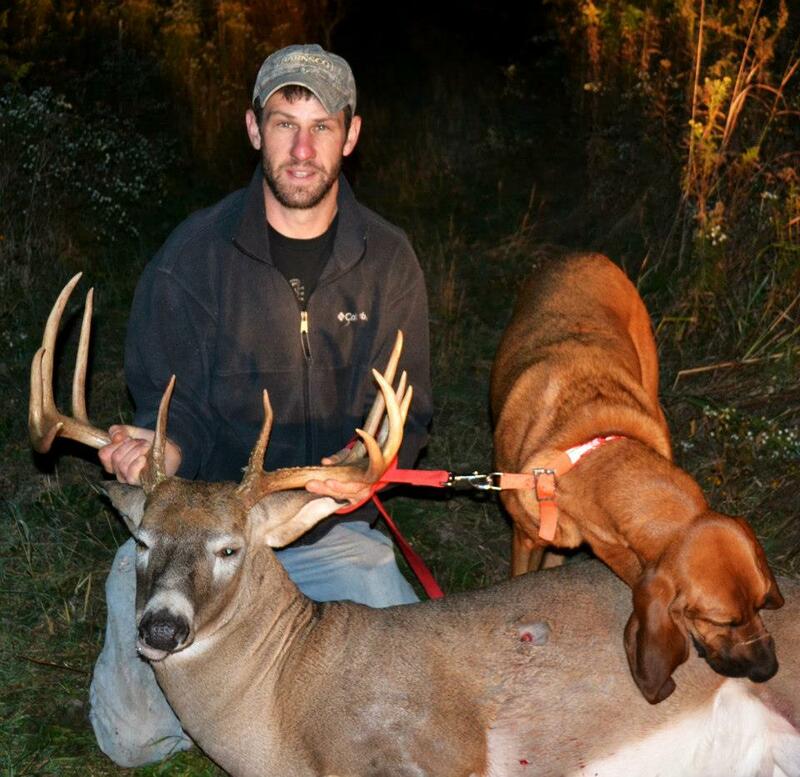 The blood trail was sporadic and at night Zack would have had some troubles trying to blood track however he would have been able to recovery his deer during the daylight. When in doubt back out and call in a blood tracking dog. Zack blood trail could have been washed out by the rain or by lea ing it over night he could have loss the meat to coyotes or spoiling due to the warm temps. The track was about 250 yards long and the shot placement was quartering too resulting in a single lung puncture and exited out the paunch. 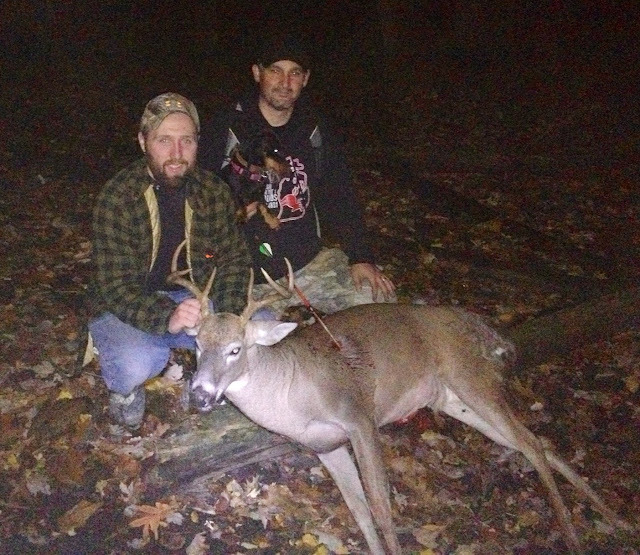 Zack was using Rage Broadheads. Labels: Byron mi. Sypris. Blood tracking dog. Deer tracking dog. Rage.